We are pleased to announce the full release of the Microsoft ODBC Driver 13.1 for SQL Server. The updated driver provides robust data access to Microsoft SQL Server and Microsoft Azure SQL Database for C/C++ based applications. You can now use Always Encrypted with the Microsoft ODBC Driver 13.1 for SQL Server. Always Encrypted is a new SQL Server 2016 and Azure SQL Database security feature that prevents sensitive data from being seen in plaintext in a SQL instance. You can now transparently encrypt the data in the application, so that SQL Server or Azure SQL Database will only handle the encrypted data and not plaintext values. If a SQL instance or host machine is compromised, an attacker can only access ciphertext of your sensitive data. Use the ODBC Driver 13.1 to encrypt plaintext data and store the encrypted data in SQL Server 2016 or Azure SQL Database. Likewise, use the driver to decrypt your encrypted data. AAD authentication is a mechanism of connecting to Azure SQL Database v12 using identities in AAD. Use AAD authentication to centrally manage identities of database users and as an alternative to SQL Server authentication. The ODBC Driver 13.1 allows you to specify your AAD credentials in the ODBC connection string to connect to Azure SQL DB. IDNs allow your web server to use Unicode characters for server name, enabling support for more languages. Using the new Microsoft ODBC Driver 13.1 for SQL Server, you can convert a Unicode serverName to ASCII compatible encoding (Punycode) when required during a connection. The driver now supports transparent connections to AlwaysOn Availability Groups. The driver quickly discovers the current AlwaysOn topology of your server infrastructure and connects to the current active server transparently. Note: You can also download ODBC Driver 13 for SQL Server from the download center. 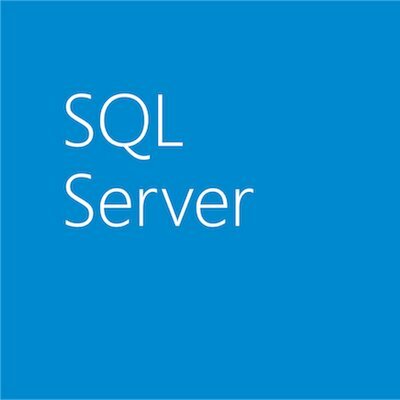 ODBC Driver 13 for SQL Server was released with SQL Server 2016 and does not include new features such as Always Encrypted and Azure Active Directory Authentication. Download the ODBC Driver 13.1 for SQL Server. We are committed to bringing more feature support for connecting to SQL Server, Azure SQL Database and Azure SQL DW. We invite you to explore the latest the Microsoft Data Platform has to offer via a trial of Azure SQL Database or by trying the new SQL Server 2016. Please stay tuned for upcoming releases that will have additional feature support. This applies to our wide range of client drivers including PHP 7.0, JDBC and ADO.NET which are already available.